Calling all creative chefs, cooks, and mixologists...The LIMEQUAT is now here! Limequats, as you might imagine, are a cross between a lime and a kumquat. The fruit is smaller in size and oval in shape, like a kumquat. Their color tend to be mostly yellow (with some green) and they do contain seeds. Limequats have a sweet tasting rind and an intense "tart-sweet" pulp that tastes similar to limes but more acidic. Due to their "mouth puckering" characteristics, the uses for the limequat are probably better suited for cooking than trying to eat them as a snack. Their tart juice and pulp make for some seriously great jams, or preserves. 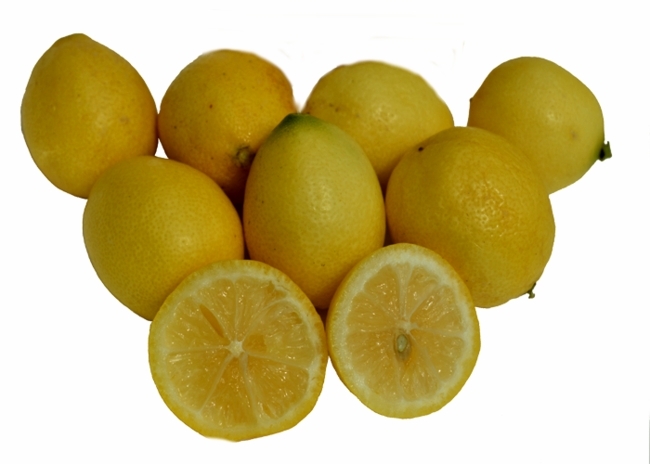 Limequats can also be used in most other recipes that call for sour lemon flavors, but leave it to your "culinary imagination" to utilize them in ways yet unknown! Do you like the taste of intense lemon-lime flavors in your drinks? They go especially well in mixed alcohol drinks or squeeze one into a tall glass of ice tea or ice water for a "bright" flavor sure to give your taste buds a lift. Limequats have a rather short harvesting season. They are typically available January thru May. Due to availability and short season, annual market pricing will also vary from season to season. Pearson Ranch sells it's Limequats in 5 pound Quantities. For more 10 pounds or more, please call for details.